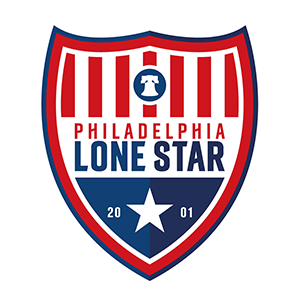 Stars in College: Dahn, Gbonimy, Watson Shine in Weekly Recap | Philadelphia Lone Star F.C. Valley Forge Military College sophomore midfielder Francis Watson was the Star Performer of the Week after he scored all six of his team’s goals in the 6-4 win over Northampton College. Sophomore midfielder Alvin Dahn also had a perfect game for St. Joseph University after scoring twice and setting up another goal in the Hawks’ 4-2 win over Quinnipiac University in a televised match on ESPN+. Alvin Dahn (So., MF) started in St. Joseph’s University 3-1 win at Saint Peter’s on Tuesday and then followed that up with TWO GOALS and an ONE ASSIST in the 4-2 win vs. Quinnipiac on Saturday. Vinny Tasca (Sr., GK) started the two matches for Wilmington University at Millersville (W 3-2) on Thursday and vs. District of Columbia (T 2-2) on Saturday. Vinny had a joint 7 saves during the week. Deekai Gbonimy (So., FW) started and SCORED in BOTH matches for Wesley College in the wins vs. Cairn (W 3-0) on Friday and at Goucher (W 3-1) on Sunday. Gerardo Sosa (Sr., GK) missed Penn State Berk’s 1-1 tie vs. Wilkes University on Friday, but started and play the first half in Sunday’s 3-2 win vs. Albright College. Sosa had a clean sheet and was substituted at the break with his team leading 1-0. Francis Watson (So., M) scored all SIX GOALS for Valley Forge Military College in the 6-4 win vs. Northampton County College on Thursday. Other Stars featuring in the win include Solomon Freeman (Fr., GK), Mohamed Tall (Fr., DF), and Aaron Keita (Fr., DF) who scored the ONLY GOAL in his team’s opening loss vs. Bucks County 5-1 earlier on Tuesday. Daniel Willie (So., M) started and had four shots on goal in Penn State Bradywine’s 2-2 tie vs. Manor College on Saturday. This game also saw two other Stars featuring for Manor College: Kelvin Siem (Fr., M) and Therno Diallo (Fr., M/F) who both had four shots and two shots, respectively. Before the match at Penn State Brandywine, Kelvin Siem (Fr., M) and Therno Diallo (Fr., M/F) were both on target in Manor College’s 3-0 win vs. Cecil College on Tuesday. Siem had ONE GOAL and ONE ASSIST while Diallo had ONE GOAL also.